September 2012 – Greetings Family! I hope everything is Powerful with you also! It is important that we greet each other in Power because we are Powerful people. This Movement can also be called the TakeOver, if you’d like. This is a Public Service announcement to New York City! Again, hello..my name is The Street Blogger, and as you know the Street Hrsh Reyalitee & The Street Poets NYC brings us an open mic every month, and at this point, it is two inches taller than legendary. People from all over the country travel near and far to attend! 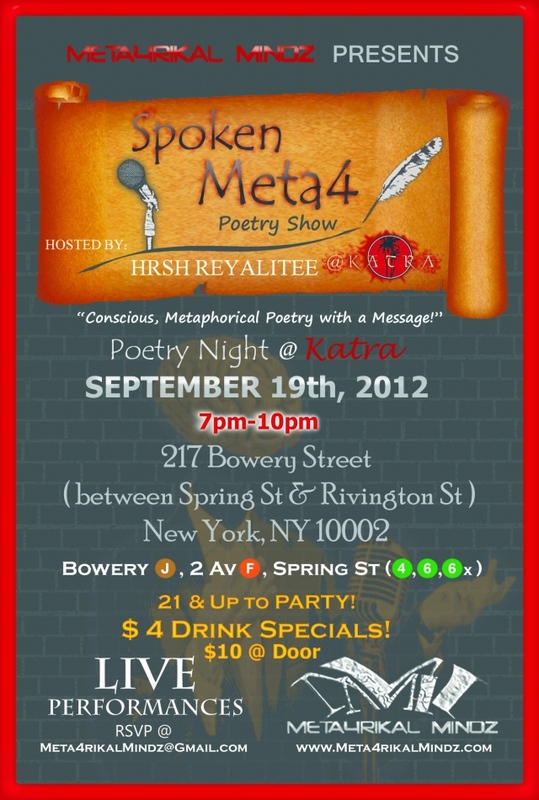 NOW we are bringing this SAME Love to the city for THIS event brought to you by META4RIKALMINDZ INC. Join us on September 19th at KATRA LOUNGE 217 Bowery Street New York (between Sprint St. & Rivington St.) 7pm in NYC for an the OPEN MIC that may truly advance your underground/independent Career. It’s time for US to get OURS for US. This event will be hosted by Yours In Power, HRSH REYALITEE. Come one! Come all! Artists, this is your chance to life off of your passion. Do you have Cd’s? Do you have Books? 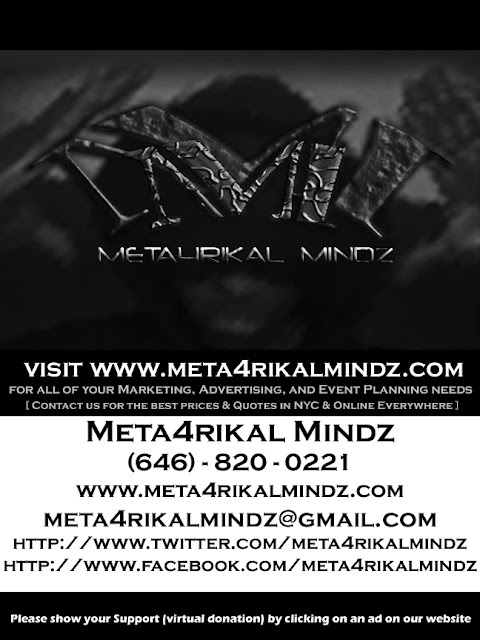 Do you have business cards/flyers? Are you looking to network? Well this is all we do for our Love for You. Network with Love and ambition in our hearts! We are not new o this, indeed we are true to this, and this is truly you as well. We are known for bringing Artist together and connecting them with the leaders in their community for the purpose of self advancement and furthermore the advancement of our People. Human People. Powerful is a Lifestyle. Keep Living it. OOOOOOOOOOWWWWW….. STREET POETS NYC BABY!!! DARUDDEST JONES WILL BE PERFORMING!!!!! DONT MISS IT!